Why can't i centre fields in the form? I'm having a go at making a couple of forms to suit mobile phones. Why can't I center my fields in the form? They are close, but not truly centered. 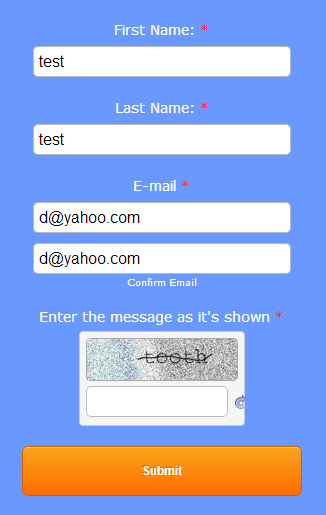 This is how your form displays on my end now after adding the following CSS codes. Let us know if this doesn't help. Thanks! That tidied the form up nicely! Unfortunately my previous code doesn't seem to display properly on FF and IE Browsers. To fixed it, please add the following CSS codes. Just leave my previous codes as it is.